Ok I know, Sandra’s outfit is anti-climactic after that buildup, but Martha’s insanity totally makes up for it, right? 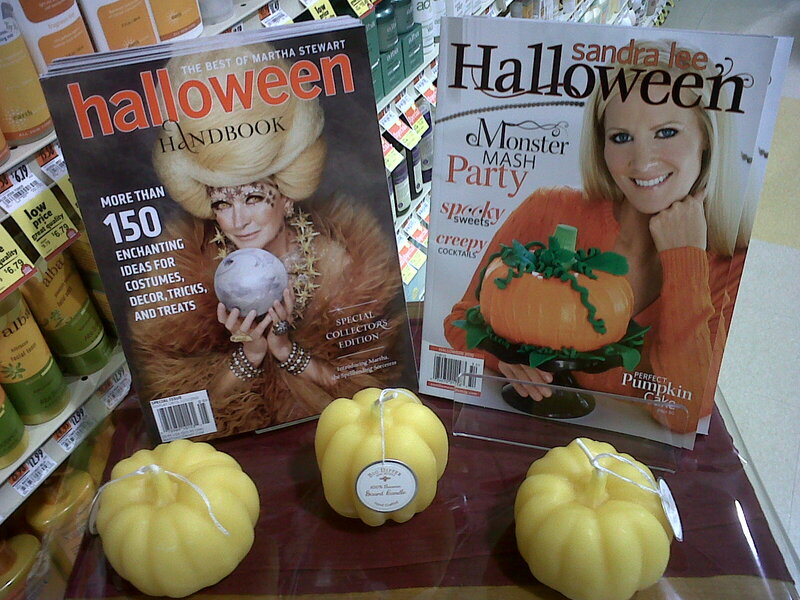 And you know that pumpkin Sandra is clutching is made out of hot dog buns, onion soup mix, and three pounds of packaged icing bound together with vodka. 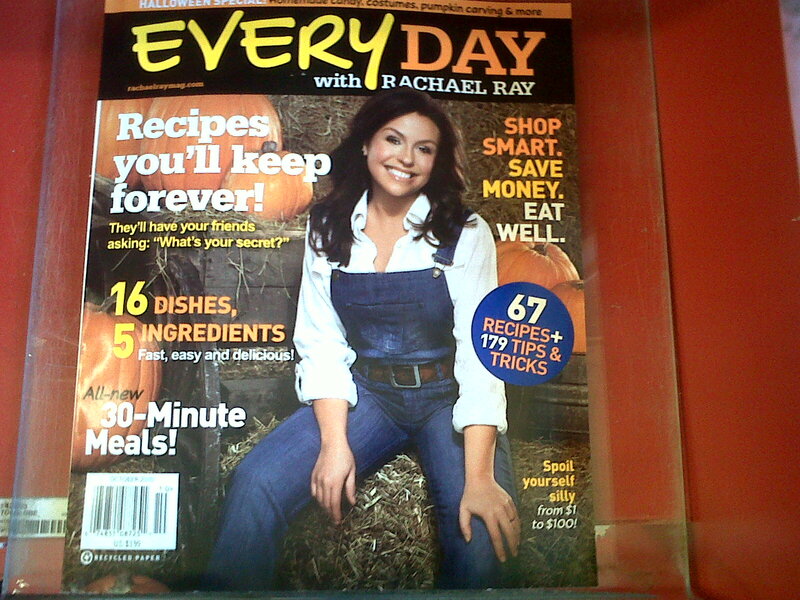 Rachael is going as a farmer, apparently. She carried those overalls, that belt, that shirt, those pumpkins, that hay, AND whatever shoes she’s wearing from the closet to her bathroom in JUST ONE TRIP. But she did tip over her garbage bowl while doing so. Holy cat! 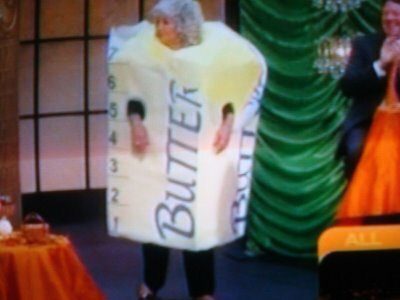 Paula is going as her favorite food. 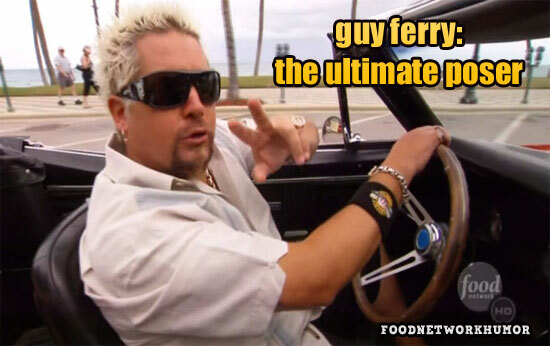 Guy Fieri is going as himself. 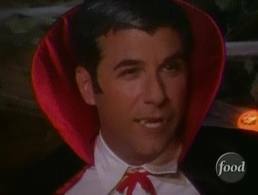 Michael Chiarello is going as a vampire. It just seems fitting, somehow. 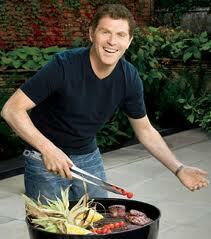 Bobby Flay doesn’t wear Halloween costumes. 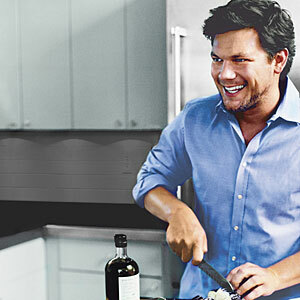 He’s too busy grilling, or standing in the corner at the party telling you he could make a better Halloween costume than you, but he needs his two assistants, a week of practice, and a camera crew with unlimited resources. not so tough without your army ARE YOU?! Tyler, on the other hand, doesn’t HAVE to wear a costume. He gets to go as Hot Guy, every year. every year, the same thing with this guy. I just can’t wait for the Christmas Party this year, can you? Wondering where I got some of these pictures? Check out this site. Need a laugh? Thank you for this.